When people learn that you write about consumer credit for a living, the conversation seems to almost inevitably circle around to, “So, what’s the best credit card?” Unfortunately, people are rarely happy with the true response, which is: there isn’t one. There are literally hundreds, if not thousands, of credit credits on the market, each with its pros and cons, its own costs and rewards. Furthermore, there are millions of credit cardholders out there, too — each with their own wants, needs, and spending habits. As with many things in consumer culture, credit cards are often designed and marketed with a specific demographic in mind. 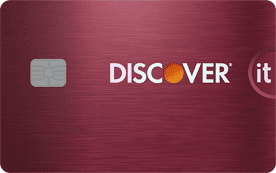 This may be a certain credit score or income range, or a particular type of card user. 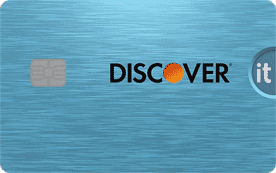 For example, the Chase Sapphire Reserve® Credit Card is a rewards card that targets travelers with high incomes by offering big bonus rewards on travel-related purchases but charging a high annual fee. To find the best credit card for you, the first step will be to decide on your wants and needs, and then determine into which demographic they likely fall. You can narrow down your options fairly significantly by taking a look at your credit and spending habits, then answering the four questions below. 1. Is your FICO credit score below 670? One of the most important factors determining whether you are approved for a particular credit card will be your credit score. Those with good to excellent credit — FICO scores of 670 and above — will typically be able to qualify for just about any consumer card (though higher credit scores will generally earn higher credit limits). If your credit score is below 670, you’ll find the best luck getting approved for cards if you apply for those specifically aimed at your credit score range. 2. Do you tend to carry a balance from month to month? Most credit cardholders tend to fall into one of two groups: those who compulsively pay off their balance every month, and those who tend to carry a balance from month to month. Since interest charges are one of the biggest costs associated with using a credit card, balance-carriers should consider a card designed just for them, i.e., one that comes with an introductory 0% interest rate offer or low ongoing APR. 3. Do you make most of your purchases at the same places? With so many credit cards on the market today, one of the easiest ways to choose one over another is by picking a card that offers the rewards best suited to your personal spending habits. For instance, if a large portion of your budget goes to groceries each month, a card that offers bonus rewards for grocery store purchases may be the best fit. Keep the redemption options in mind, as well; if you know you won’t bother with a complicated points redemption process, for example, get cash back instead. 4. Are you a business owner or student? For business owners or students, the process of narrowing down a credit card may be the simplest of all. That’s because many issuers have specialty cards aimed at these specific users, both in terms of qualifying requirements as well as card perks and purchase rewards. While no individual question or answer will likely point you to a single card, answering each question can help you put together a short list of options. Things like the credit requirements, rewards, and APR can all contribute to choosing a specific card — but you may also want to consider a few other factors, too, including extraneous fees and the processing network. Contrary to popular belief, the typical consumer doesn’t have a single credit score; they can have dozens of credit scores, which can vary based on the credit bureaus supplying the information and the specific model used to calculate the score. Of them all, the FICO Score 8 is the most frequently used scoring model by far, though the credit bureau(s) used will vary by credit card issuer. The FICO Score 8 operates on a range of scores from 300 to 850, with 850 being the highest possible credit score — and, thus, the most desirable. Although 300 is technically the lowest possible score, few subprime consumers have scores this low, instead typically scoring in the low to mid 500s. Your credit score is considered “poor” if it falls below 580. FICO credit scores of 740 and above are generally dubbed as “excellent,” and they show that you can responsibly handle credit. Since those with excellent credit tend to get their pick of credit cards (and other financial products), perhaps the only downside to having excellent credit is that it won’t really help you narrow down the field of card options. 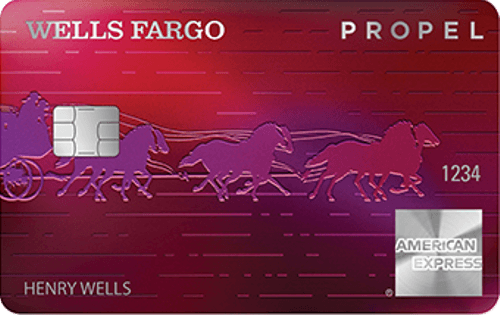 With the full field of awesome rewards cards and lengthy intro-APR offers available, finding the best card means moving on to Questions 2, 3, and 4. Find the rewards that best match your individual spending habits and redemption preferences, or the card with the lowest APR if you often carry a balance. 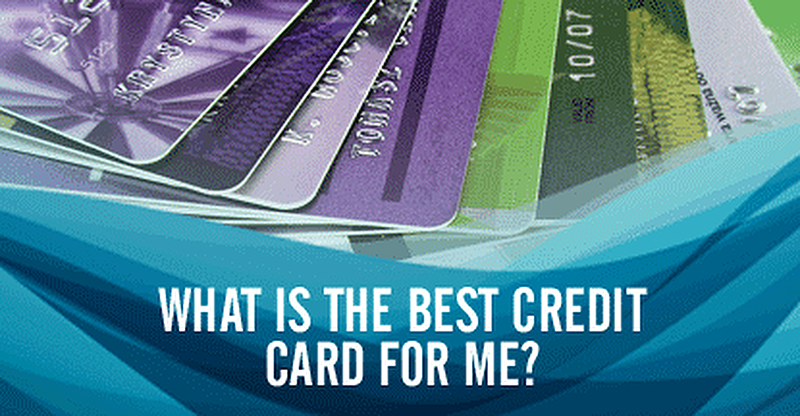 Our favorite cards for excellent credit cover the gamut of rewards and benefits. With credit scores between 670 and 739, good-credit consumers have nearly as many options as their excellent-credit counterparts, albeit often with lower credit limits. While some cards aimed specifically at those with excellent credit may be out of reach, the rest of the prime credit card market will typically be up for grabs. While the same basic advice applies to good-credit applicants as excellent-credit ones — i.e., use Questions 2, 3, and 4 to better narrow the options — you may want to pay special attention to the APRs charged by each card. Those with good credit will generally receive higher interest rates than those with excellent credit, particularly as you get closer to the bottom end of the range. Not quite poor credit but not quite good, credit scores between 580 and 669 fall into the “fair” credit score range. Like their scores, these consumers exist in a bit of a middle ground, with the potential to qualify for a limited array of prime credit cards — but by a narrow margin. Selecting a card with fair credit will definitely start by identifying cards designed for credit-builders, be it a flexible prime credit card or a subprime card. Pay special attention to any annual, processing, and/or maintenance fees, as well as the APR charged by the card, to keep your costs down as you build credit. Whether from defaulted accounts, multiple late payments, maxed out credit cards, or a bankruptcy discharge — or some combination of them all — when a credit score drops below 580, it is in the “poor” credit range. Since most creditors are wary of the credit risk presented by poor-credit applicants, perhaps the only useful thing about poor credit is that it definitely helps to narrow down the options. The cards likely to approve someone with poor credit all tend to have a catch. 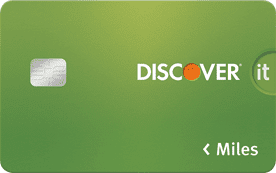 Secured credit cards are the easiest to get but require a deposit to open and use. Unsecured card options are limited to closed-loop store cards that can only be used on branded purchases, and subprime credit cards that will likely charge high fees and interest rates. Start comparing with our top-rated cards. Although some confusion may exist around the origins of your credit profile, you aren’t born with one nor is it automatically established by turning 18. Instead, it takes about six months of credit use — such as with a credit card or loan — to build enough credit history for a FICO credit score to be calculated. Credit card issuers will be wary of extending you significant credit before you establish enough credit history for a credit score. While not as limited as those for poor credit, the selection of cards available to those with no/limited credit will likely resemble that of those with fair credit. Similarly, keep an eye on APRs and extraneous fees to reduce your credit-building costs. Although every potential credit card applicant should look at the APR charged by a new credit card, those with fair, poor, or limited credit will have fewer options for finding low interest rates than those with good credit or better. Consumers with higher credit scores, on the other hand, can use a card’s APR as a deciding factor when selecting the best credit card. In particular, two main aspects of a card’s APR may be of interest: the introductory APR and the ongoing APR. Many credit cards will come with an introductory APR offer, the best of which offer 0% APR for the duration of the promotional period. Once any intro period expires, the ongoing APR will determine what interest rate is charged for purchases carried from month to month. At most times, making large purchases with your credit card that you can’t repay right away is a horrible idea. Interest charges will start to accrue after the grace period passes, and those charges can get quite expensive over time. However, there is a solution: an introductory 0% APR offer, which can provide six months or more of interest-free purchases. The better your credit score, the better the intro-APR offer you can obtain, with offers of up to 18 months available to well-qualified applicants. Keep in mind that any balance remaining when your promotional period is over will start to accrue interest according to the card’s default new purchase interest rate. See some of our favorite offers below. Introductory APR offers for new purchases can be convenient when you have a large purchase coming up, but what about those who have already accumulated a balance on their cards? That’s where balance transfer introductory offers can be handy. By transferring your balance from high-interest card to one with a 0% APR introductory offer, you can enjoy a number of interest-free months to pay down your balance. The main thing to consider when it comes to intro-APR offers for balance transfers — other than the fact that introductory offers eventually expire — is that balance transfers often come with balance transfer fees. While the occasional card without balance transfer fees does exist, many intro-APR offers may be worth the transfer fee. As valuable as intro-APR offers can be for reducing or eliminating interest payments on new purchases and balance transfers, these offers are, of course, temporary. If you’re likely to carry a balance on your credit card for more than just the first year or so, then an introductory offer will only be so useful. The focus for these consumers should be finding a card that offers a low APR all the time. The trick here is twofold. One, build your credit. The better your credit score, the lower the average interest rate you’re offered. And two, find a card with a lower overall APR range. 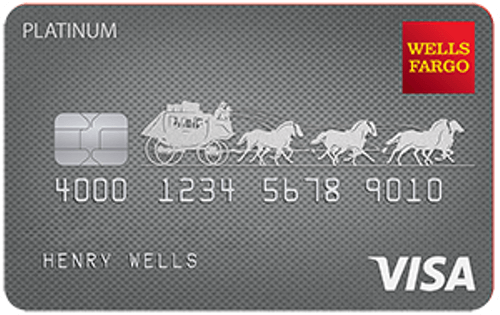 For example, a card with an APR range of 10% to 15% will always offer lower APRs than one with a range of 16% to 21%. The cards below offer lower APRs than many of their competitors. 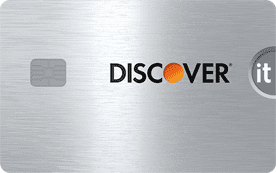 At the heart of the modern credit card lover is often a consumer who loves to save. That’s because credit card rewards can be a valuable way to save with every swipe, earning you purchase rebates, free travel, and/or remarkable experiences for your everyday spending. And that’s where you should start narrowing down your rewards card selections: the type of rewards you want to earn. 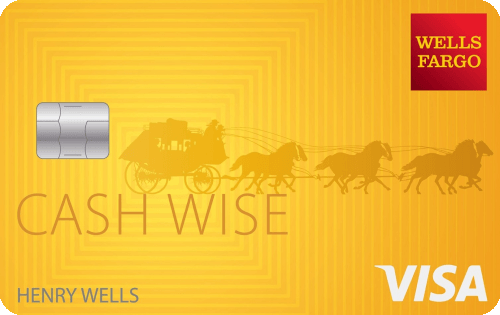 If you like things simple, a cash back rewards card can provide straightforward savings. On the other hand, frequent flyers and hotel jockeys will often appreciate a good travel rewards card, and those who want the best of both worlds tend to prefer a flexible points credit card. Cash back rewards are typically the simplest type of rewards to redeem, with options for redemption as a statement credit or as a deposit into an eligible bank account (typically accounts held with the issuing bank). As simple as they are to redeem, however, cash back rewards can be as complex as any rewards type when it comes to maximizing your earnings. While most cash back cards will offer an unlimited flat rewards rate, usually 1% to 2% on all purchases, some cards will also offer a higher rewards rate for purchases made in specific bonus categories. So, if your regular spending falls into the same categories each month, choosing a card that rewards you for those categories will net you the best rewards. Otherwise, an unlimited flat-rate card can still be a valuable savings tool. As with cash back rewards, travel rewards come as either single, unlimited flat-rate rewards, or as bonus rewards for category-specific purchases. But while cash back rewards are almost always fairly straightforward to redeem, travel rewards can have as much — or as little — complication as you like. For example, some travel cards will have cash-back-like redemption as a flat-rate statement credit for travel-related purchases. 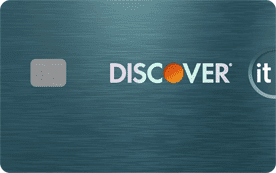 However, other programs will have a variable redemption value based on how you redeem them, with options for direct redemption via a travel portal or through a transfer to an eligible hotel or airline partner. Our top cards include a mix of both redemption types. Credit cards that earn rewards points are essentially a combination of cash back and travel rewards cards, with a little extra thrown into the mix. Like the other rewards cards, you can earn points at a single, unlimited rate, or at a bonus rate for specific category purchases. Unlike the other card types, generic rewards points can be redeemed for anything from cash back to travel — and a few things in between. The per-point value of your rewards will depend on how you redeem them, with cash typically providing the lowest value and travel redemption the highest. Many points cards, including our expert picks, also come with lucrative signup bonuses. While all credit cardholders have their own needs, some have more specific needs than others. In particular, business owners and students both need certain things out of their credit cards that may not be offered by the bulk of the field, making it even more important for these users to find just the right card. On the bright side, many issuers have developed cards with these specialty groups in mind, offering a range of business-centered and student-focused cards. And if you can narrow your list to these specific types of cards, you can use Questions 1 through 3 to pick the perfect one off the short list of potential fits. From advertising costs to shipping expenses, business owners tend to have expenses that regular consumers simply don’t even consider, let alone have the need to earn rewards for them. Designed for business owners, business credit cards often cater to these unique needs, offering rewards for things like office supplies and digital marketing that can help bolster your business’s bottom line. Even better, business credit cards have a secret superpower: the ability to help your business establish and build business credit. As with the consumer credit world, the business credit world relies on a solid credit history to judge whether to lend to your business in the future. A good business credit card, like our favorites, can two-birds your business finances and credit, all while earning you lucrative rewards. Being a student can be both a great adventure — and a great challenge. To start, college students aren’t typically the most well-paid workers (meals of ramen noodles and mac & cheese are the stereotypical staples of college life for a very good reason), nor do they generally have very well-established credit profiles. Combined, these attributes mean students can’t apply for just any old credit card. Happily, the credit card industry isn’t without sympathy for the credit plights of students. A number of issuers offer credit cards specially designed for students who want to establish and build credit — without paying an arm and a leg in annual fees. What’s more, many student cards, including our options below, include valuable purchase rewards. As anyone who works in an advisory capacity knows, most people can’t help but ask for a professional opinion when they get the chance. But, as is also well known, the quality of the advice you get from someone often depends on the quality of you the questions you ask. Additionally, since the best credit card for an individual depends on their specific needs and spending habits, it’s important to regularly re-evaluate your current credit card collection. Our specific financial needs and habits tend to change over time, just as we do, meaning the best card for you today may not be the best card next year. You should perform an annual audit of your credit cards — preferably before any annual fees are charged for the year — to ensure you have the best cards for your current needs and that you aren’t paying for cards you don’t use. If you haven’t used a card lately and/or can find a card with significantly better rewards, you should consider upgrading your card.